Think about it: You spend lots of your time traversing the roads of West Valley, Murray City, and Orem during your daily commutes. That’s why it’s essential that you’re surrounded by a cabin that’s equipped with your favorite technologies, creature comforts, and safety assurances, which is exactly what you’ll find in the 2018 VW Passat interior. To get a closer look at the finely appointed cabin of this iconic road cruiser, all you have to do is take a look at this Volkswagen Passat Interior Review created by Volkswagen SouthTowne. After you’ve snagged a spot in the throne of this stylish sedan, you’ll be ready to confront every mile of the highway. No matter what you have planned for your next vacation, you should always return to a vehicle that’s adorned with classy touches and polished materials. 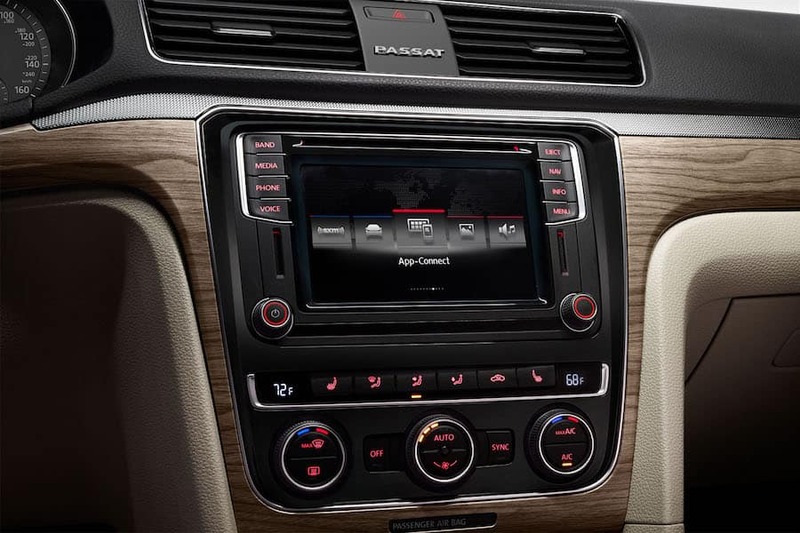 And, with one look at the 2018 VW Passat interior, you’ll notice the refined sophistication and comforting atmosphere imparted by accents like the available wood and textured aluminum appearance cabin trim. On top of that, you’re welcome to add an extra dose of style to the VW Passat with optional features like the leather seating surfaces. Thanks to the supple finish of this upholstery, you’ll sit back and decompress after a long day. While you’re focusing on the road ahead, it’s important to be equipped with technologies that think for you. Luckily, the 2018 VW Passat interior comes with a standard Composition Color infotainment system that’s controlled by a 5-inch touchscreen. Looking for a way to access your own selection of music and applications on your smartphone? All you have to do is activate the optional VW Car-Net® App-Connect system. With this amenity tucked into your VW Passat, you’ll quickly tap into Apple CarPlay™, Android Auto™, and MirrorLink®. That way, nothing will prevent you from jamming out to your recently created playlists and enjoying every minute of your journey. Your family deserves to savor a safe and happy drive. Well, the 2018 VW Passat interior protects you in any situation with its available collection of collision-preventing safety tools. For example, the Forward Collision Warning and Autonomous Emergency Braking actively monitors what’s in front of your automobile and alerts you if it detects the possibility of an accident. 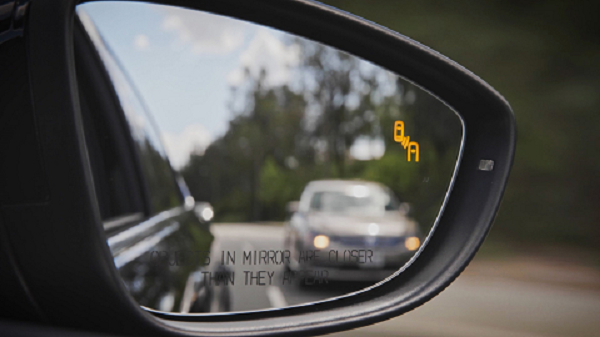 Once the system senses a dangerous situation, it emits audible and visual signals to help you sidestep a collision. If immediate action isn’t taken, autonomous braking engages to avoid the vehicle in front of you or lessen the severity of the impact. Of course, that’s only one of the many intuitive safety devices included in the VW Passat interior. By arming your car with other innovative gadgets, like Adaptive Cruise Control, Lane Departure Warning, and more, you’ll make your adventures even safer. Check Out the 2018 Volkswagen Passat Interior Today! At Volkswagen SouthTowne, we believe that the key to a thrilling drive along the roads of West Valley, Murray City, and Orem is to choose a car that’s designed around you. 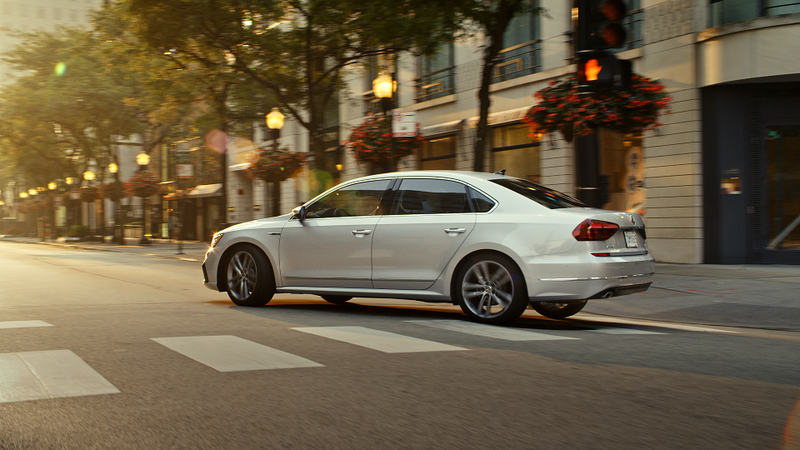 And, by taking a seat in the 2018 VW Passat interior, you’ll traverse old and new territories with the confidence that comes with a well-equipped ride. To discover more of the optional cabin features included in this vehicle, visit our showroom or schedule your test drive today!